My mom makes a very delicious version of this Bhurji, but my version is slightly different. Actually you can also make egg Bhurji using this recipe! You will hardly take 30 mins to prepare this …let’s get started..
Equipment: a wok, measuring cups/ spoons, a ladle. Crumble paneer properly and set it aside. Heat oil in the wok, add hing next. Let it sizzle for a minute, add the onions next. Let the onions sauté for for 2-3 mins so that they turn translucent. Then add ggg paste and again cook it for 2 mins. Add the capsicum and all the dry spices except pav bhaji masala. Also, season with salt. Sauté these together for the next 5 mins or until the capsicum turns soft. Then add the tomatoes and Pav bhaji masala. Sauté for 5 mins, the tomatoes should be cooked and turn soft and pulpy. Add the crumbled paneer and mix well. Mash the paneer with the masalas nicely. Cook covered for about 2-3 mins. Turn off flame, add coriander leaves and some lemon juice 👌👌 that’s it! Ready…enjoy! You can also try my Pav Bhaji recipe! Common, try this out soon…you will love the lip smacking flavours! 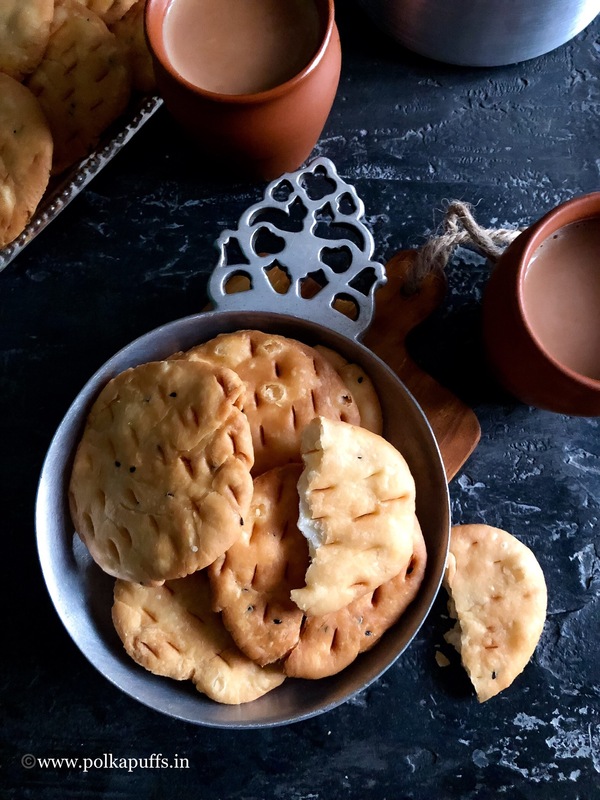 Khasti Mathri/ How to make Khasti Mathri is very easy to make but needs some practice and a bit of skill. It is most crucial to make the perfect dough. If the dough id perfect, 70% of this battle is won, as Mom says!! The rest 30% lies in the patience one has while frying these babies. 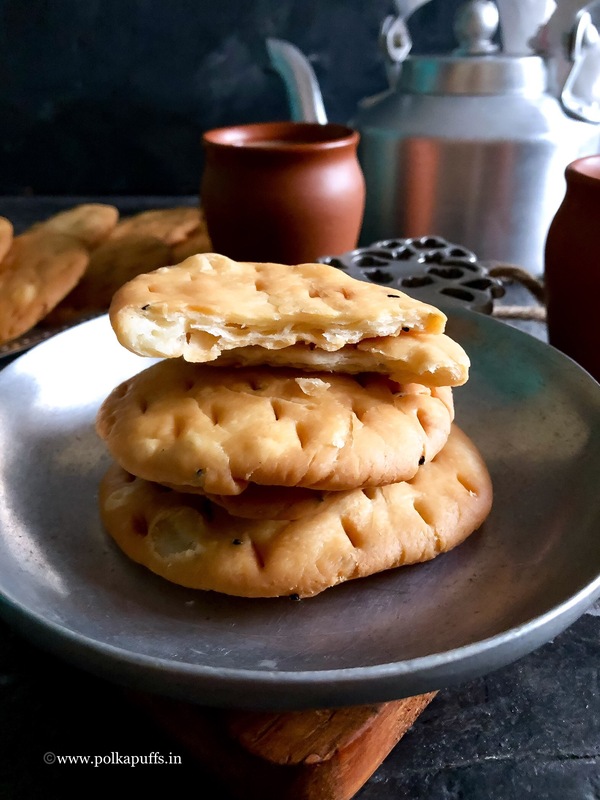 Khasti Mathri/ How to make Khasti Mathri must be very flaky and as you can see in the picture, it has those perfect flaky layers. 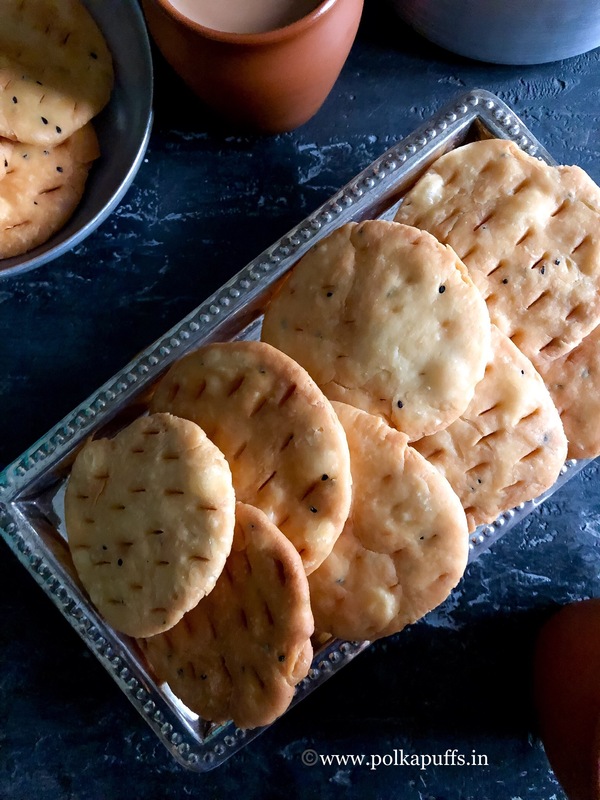 The flakiness makes this snack so much more delicious. About the flavor, we like ours mild and not too fussy but one can add flavors of their choice. Always remember to keep the salt light because it is not supposed to be super salty. It is barely salted and the major flavor comes from the ghee/ clarified butter. Anyways let us make some Khasti Mathri. Take all the dry ingredients in a mixing bowl, add warm ghee. Now rub these ingredients together for 10-15 minutes,, they should resemble breadcrumb like texture. This will make the Mathri Khasti. Once that’s done, add water little by little to make stiff dough. Knead the dough for a few mins, cover it & set it aside for 15 minutes. After 15 minutes, knead the dough again for 2 minutes. Then divide the dough to make equal sized balls. Using a rolling pin, roll them to a thickness of 1/2″ and prick them all over with a knife on both sides. Repeat this step for the entire batch of dough. Next, heat sufficient oil a wok to fry. Once the oil is hot enough, reduce the flame to low and start frying 2-3 Mathri at a time. Do not fry on high flame, the Mathri won’t crisp up & will be raw from inside as well. Once they turn golden brown on both sides, remove from the oil & drain on kitchen tissues. Repeat for the entire batch of the rolled Mathri. Cool them completely before storing in air tight containers. They keep well for 8-10 days. 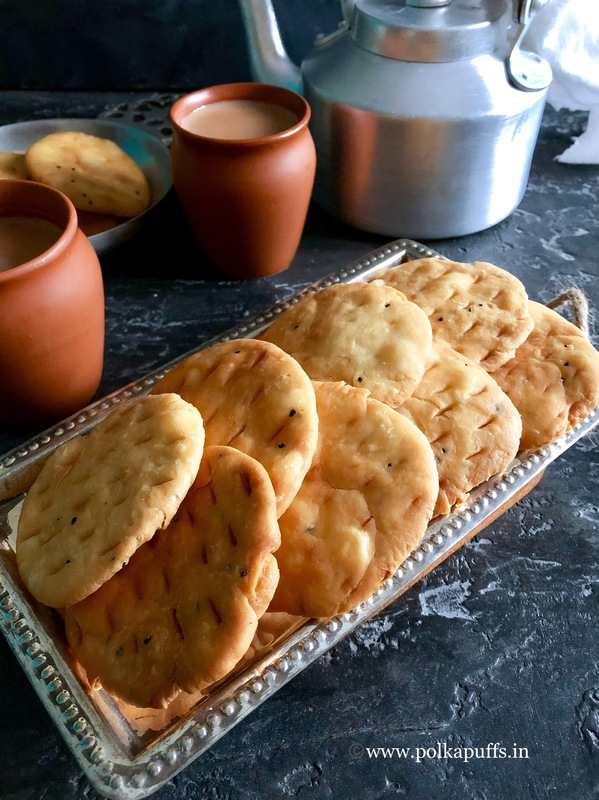 Khasti Mathri is a crunchy, flaky and melt in the mouth yummy savory snack that goes well with tea/ coffee. They are made in all households during festivals as well. This will make the Mathri Khasti. Once that's done, add water little by little to make stiff dough. Using a rolling pin, roll them to a thickness of 1/2" and prick them all over with a knife on both sides. Do not fry on high flame, the Mathri won't crisp up & will be raw from inside as well. Please ensure you follow the steps correctly to make them nice and flaky. Spend enough time on the dough because that is the key. 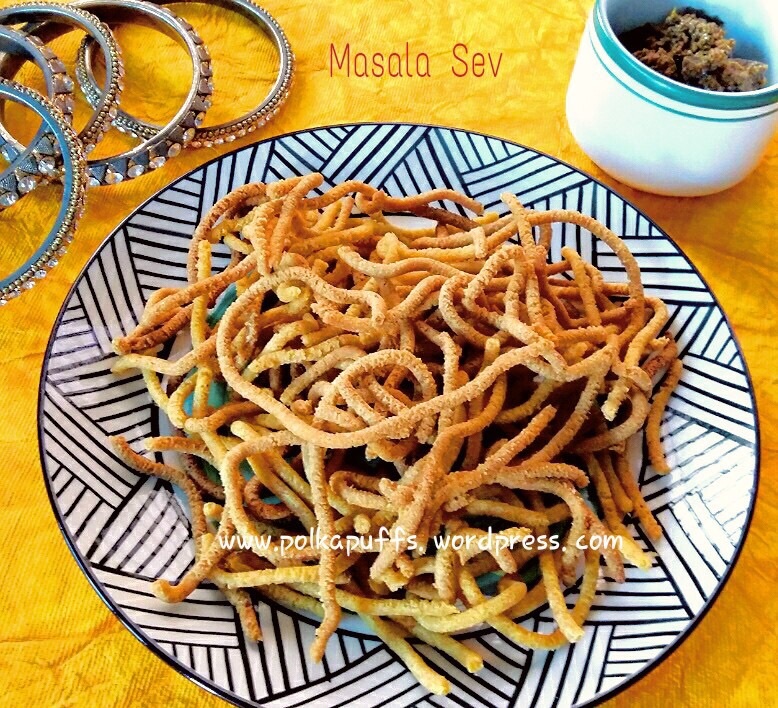 Although my mom used make these during Diwali, I never learnt to make them from her! Lol! And understanding how to go about these on a phone call isn’t my cup of tea…😝🙏🙏 so I looked everywhere and found a very good recipe with perfect instructions! Just what I needed! 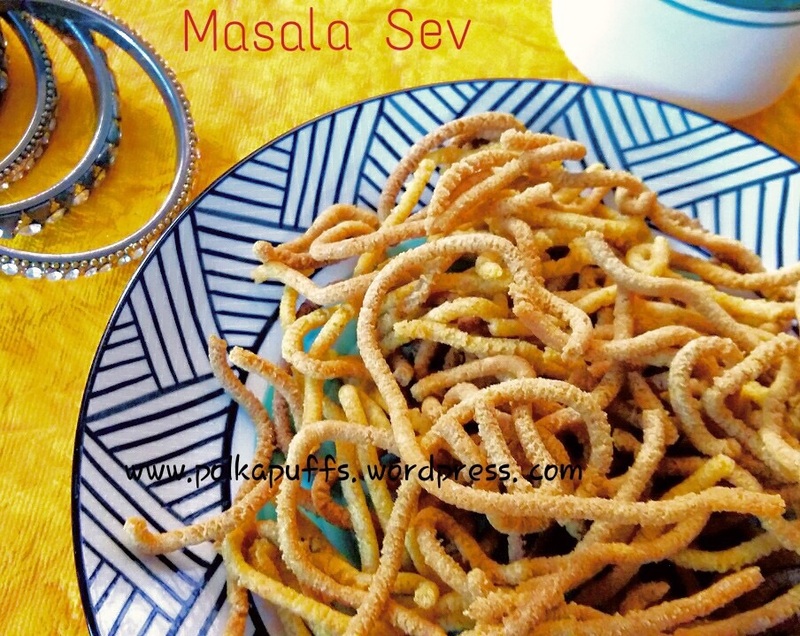 They are crispy and quite spicy….perfect when you have binging on sweets on day long!